Ok so you guys must know I love me some Japanase food right? If you didn’t, well I do! It’s one of my absolute favourite foods. The thing with Japanese food though is it’s not very well advertised as an at home kind of meal. But luckily that is starting to change with a little help of Yutaka. 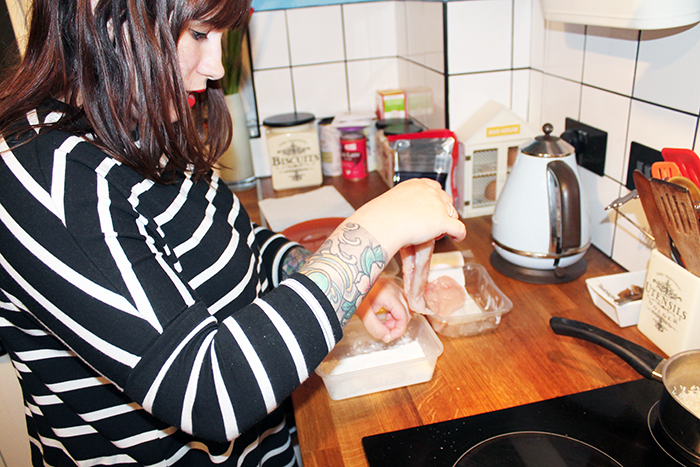 Back in August I made my own sushi at home, which was so much fun. 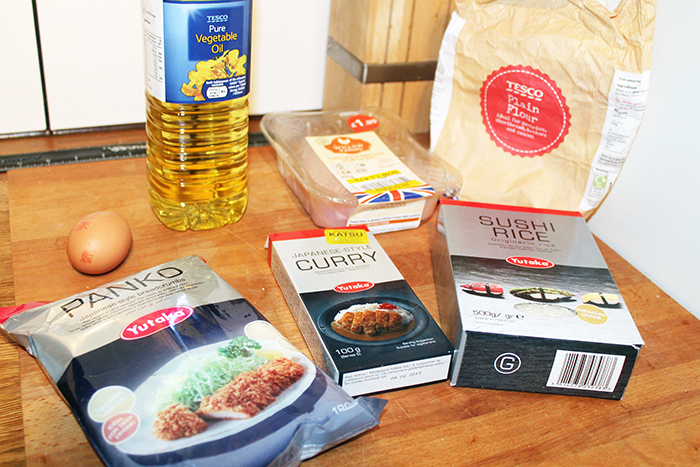 This month, I’m making Katsu Curry* in the kitchen. What I really love about Japanese cooking is that it is so much fun to make. 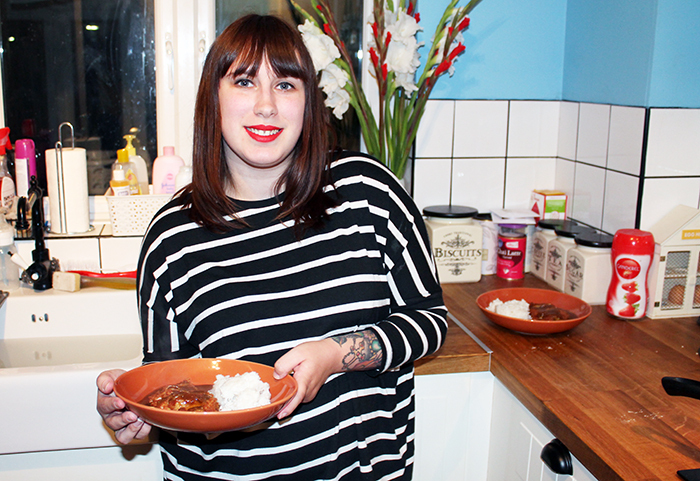 It’s a little bit different to your normal at home cooking, and really pushes you to try new things. 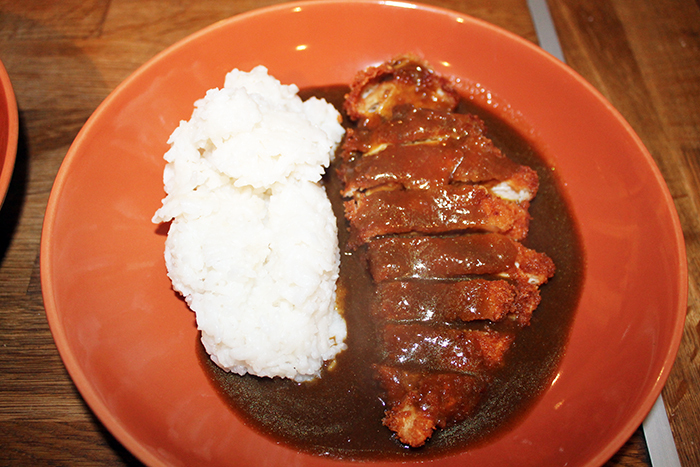 For the Katsu Curry, we received Panko Breadcrumbs, Japanese-style Curry, and Sushi Rice. 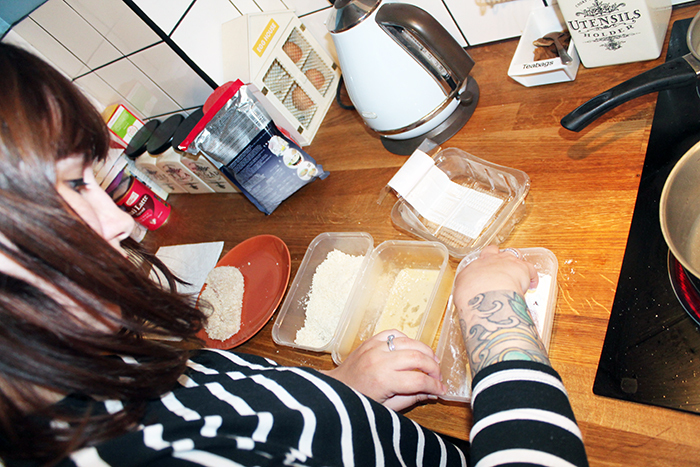 We’ve used sushi rice before so knew our way around it, but we’ve never cooked with Panko Breadcrumbs before. A little oil for the onions. For the chicken, slice 4-5 cuts into the fat side of the chicken (this helps keep it flat when cooking). Then cover in flour on both sides,followed by the egg, and then lastly the Panko Breadcrumbs. Make sure they are pressed firmly on and nicely coated. Fill a pan with cooking oil. It should be a minimum of 5cm deep and big enough that the chicken can fit without folding over. We actually used our smallest pan and 5cm was exactly one litre of oil. Next time we think we’ll use a larger pan and more oil as it was very close to the top so when it bubbled we had oil everywhere!!! Heat the oil to 175C. 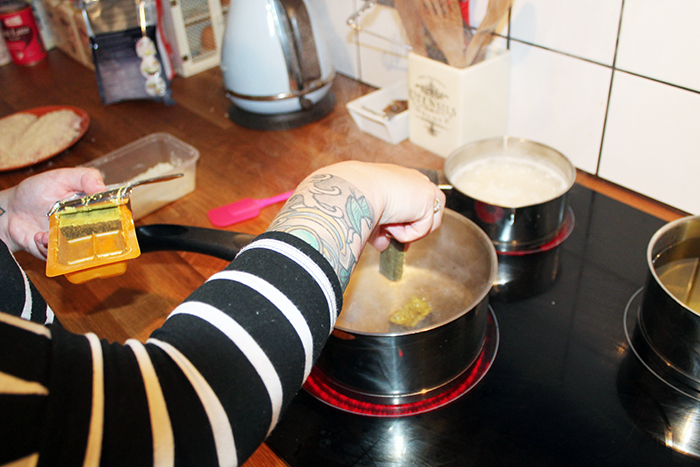 To test, drop some breadcrumbs into the oil, if they bubble and float then it’shot enough. Whilst thing is heating, stir fry your onion in a deep pan with a little oil. 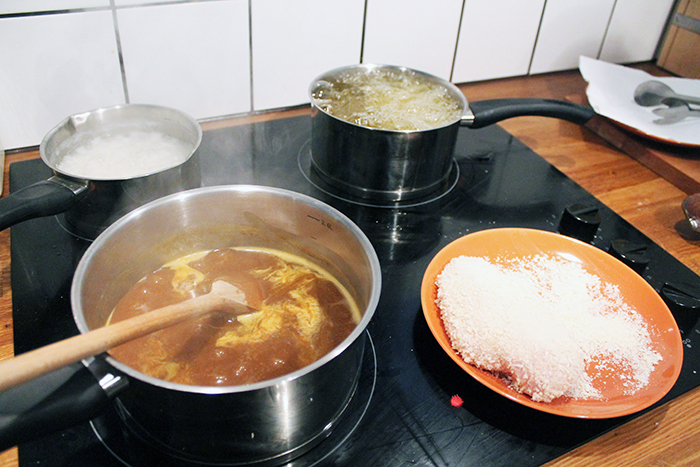 Then add 800ml of water, and the broken up cubes of the Katsu Curry, and stir. Simmer for at least 15 minutes. Once the oil is at temperature, you get to the scary part. I’ve worked with deep fat fryers before, but never at home, and always worry about oil pan fires! Luckily Dann is really confident when it comes to the kitchen so already had a plan for any such incident. (Damp tea towel on hand to smother a oil fire, or take it outside, as long as it isn’t raining.) Anyway, carefully drop the chicken into the pan. Dann did the first one, and there was barely a splash. I did the second, and of course made a mess! The pan will bubble the instant the chicken hits the oil. Then it’s a waiting game. The chicken is done when it floats to the top. It’s about 5-10 minutes depending on how hot your oil is and how thick your chicken is. We ended up cutting them to check them, the first needed about five minutes extra, the second bout three minutes extra, so we just chucked them back in for some more cooking. Once done, slice and serve with rice, and pour the curry sauce over the top! And wallah! 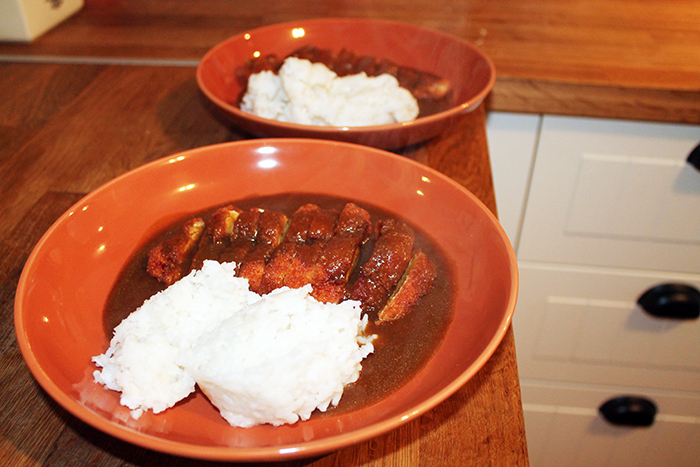 At home Katsu Curry. I think we were both really impressed with how it came out, especially when we survived fire-free! It’s actually a lot simpler to make than we thought too. 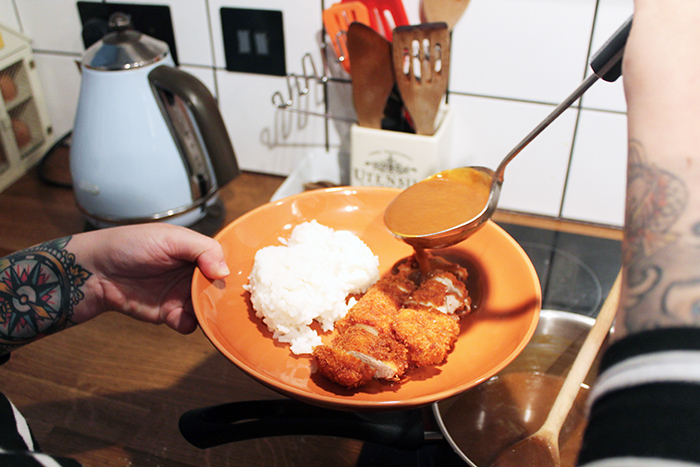 Will you be making Katsu Curry at home? There is also a oven-baking recipe on this site too! "Winter baby skin tips with Water Wipes"
"Wild friends for little dreamers – Kippins Baby Comforter"